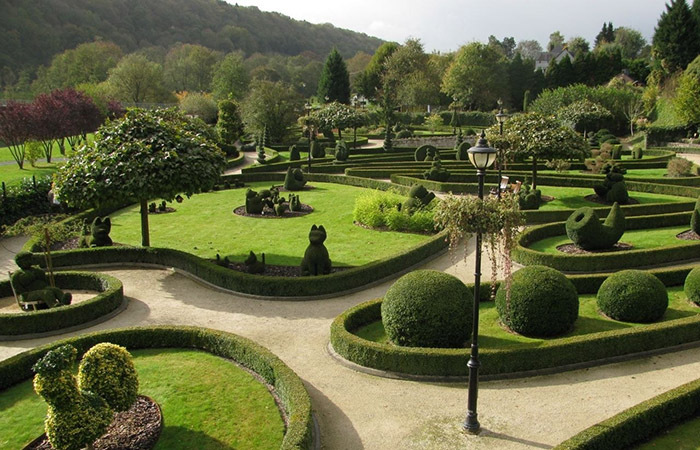 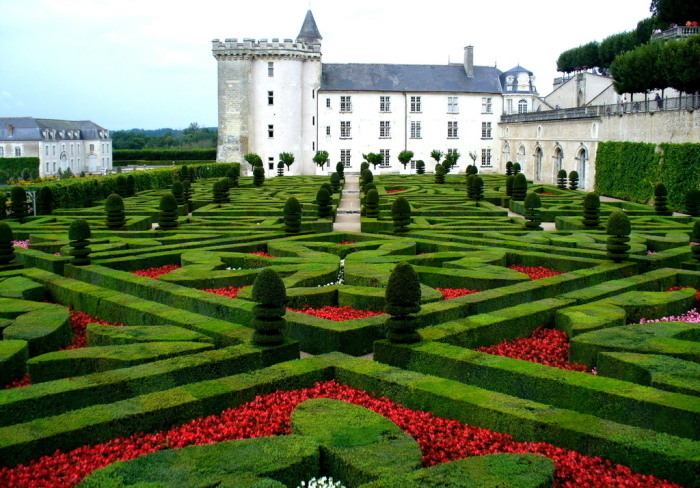 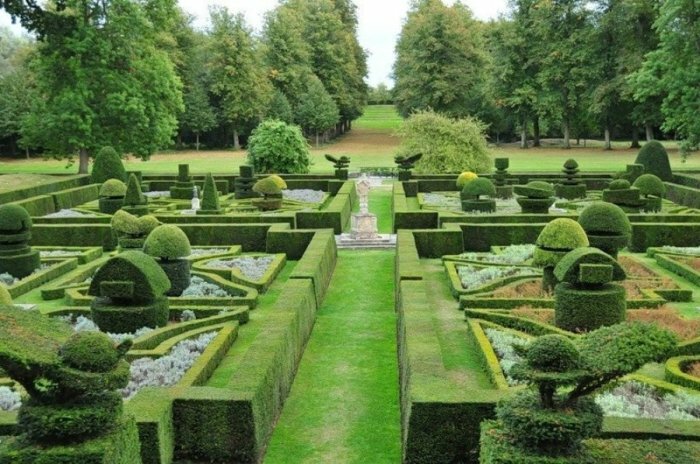 the castle Gardens of Villandry, France. 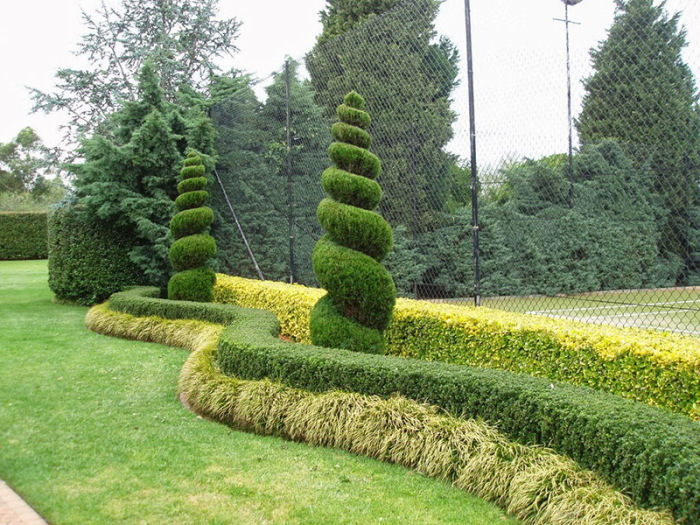 Technique giving trees and shrubs geometrically correct forms have been known since the times of Ancient Rome. 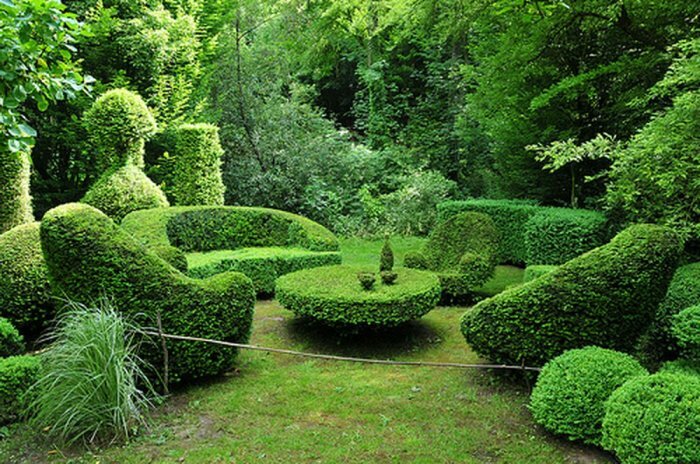 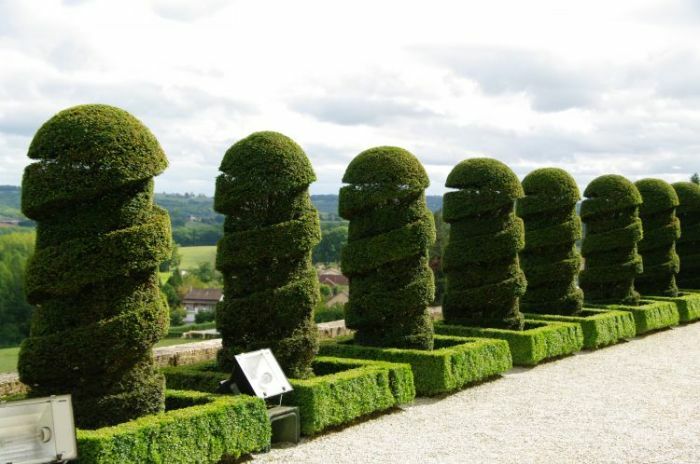 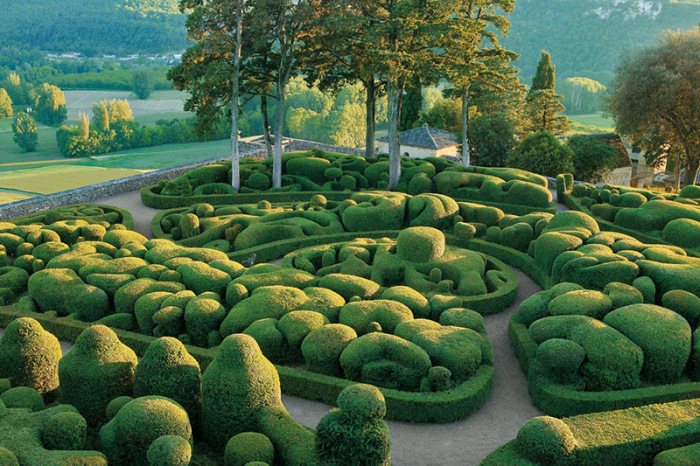 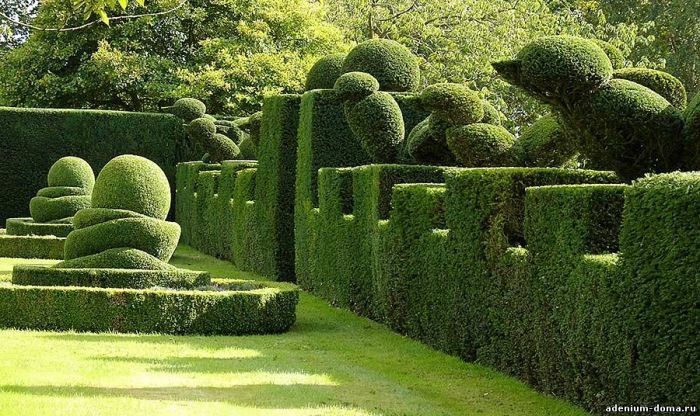 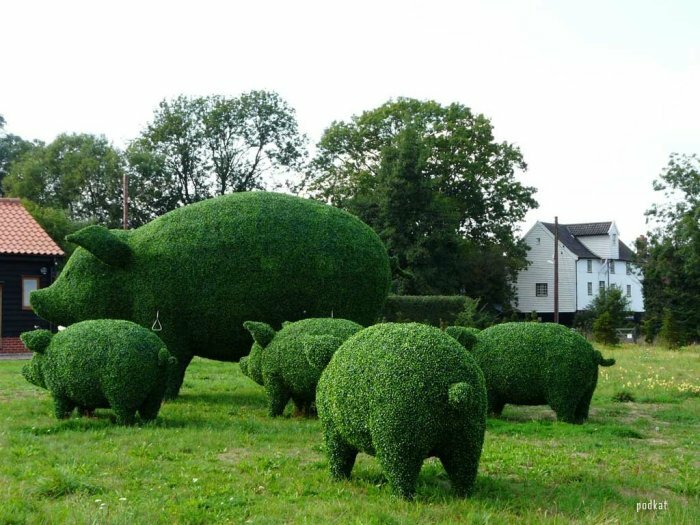 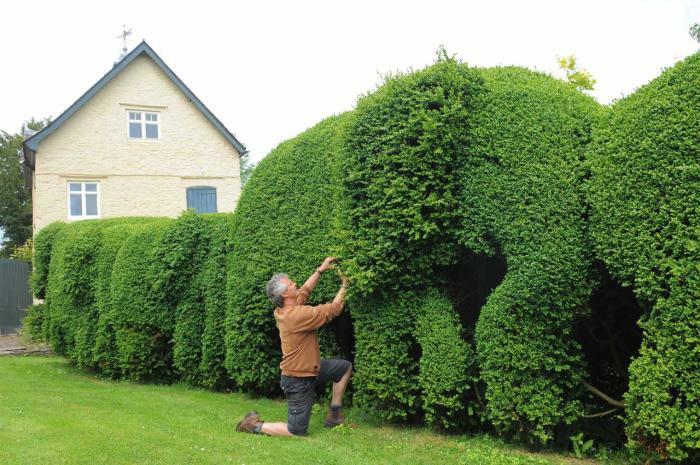 Topiary is one of the oldest types of garden-паркового art. 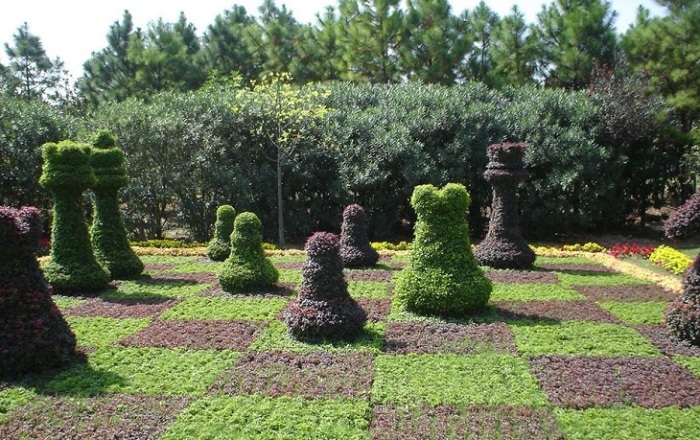 In Europe since the Renaissance originated type regular Park, then called" французским". 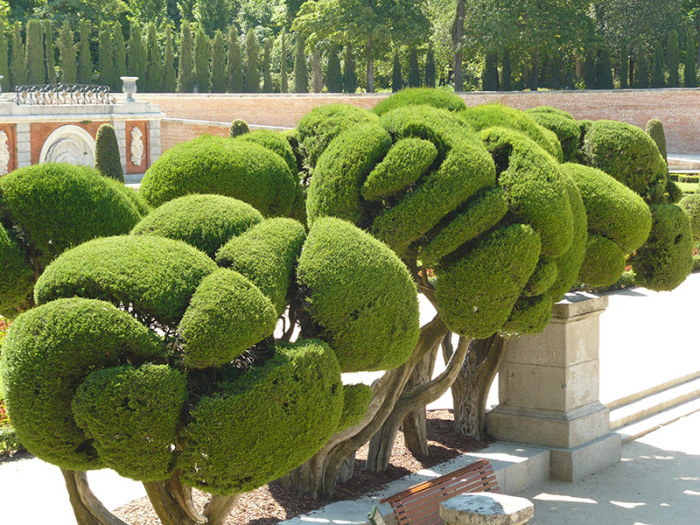 An important part of the design in it is the tree unusual the correct forms. 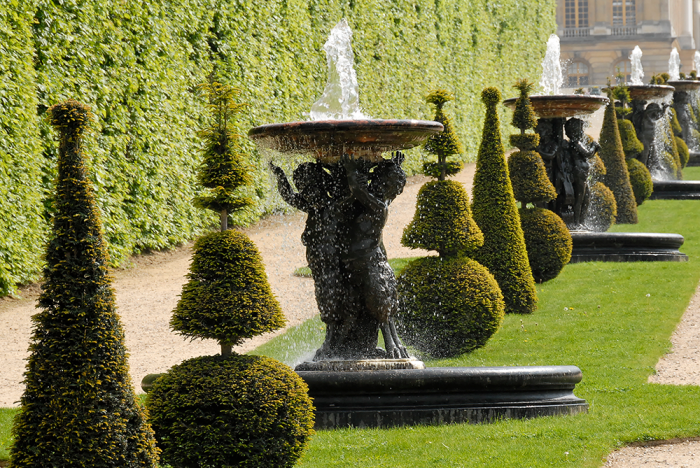 A perfect example of such a Park is the Palace of Versailles. 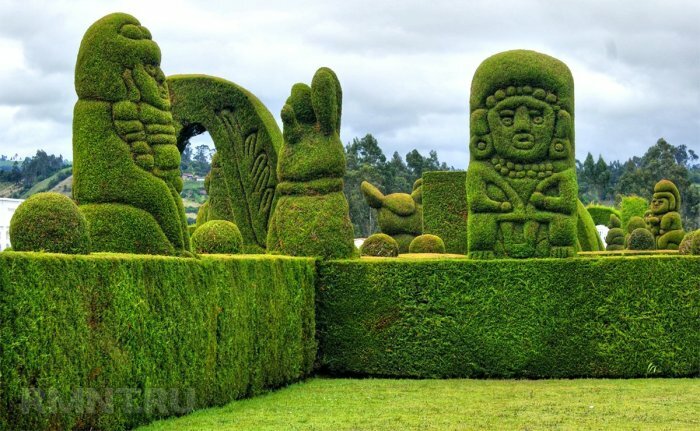 Modern designers give the trees not only the form of balls or cubes, but also animal figures, fantasy sculpture. 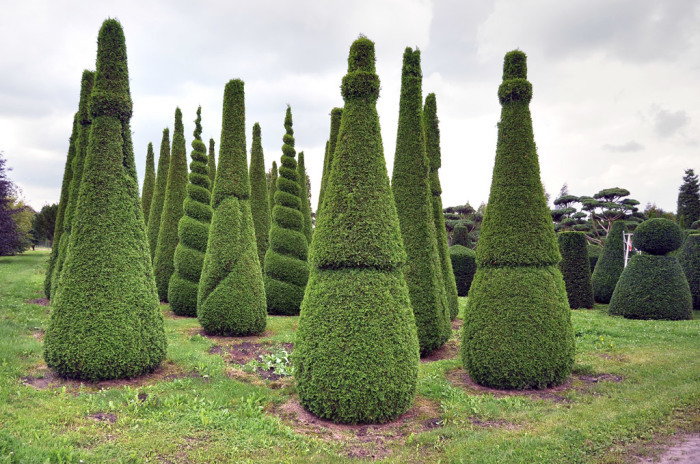 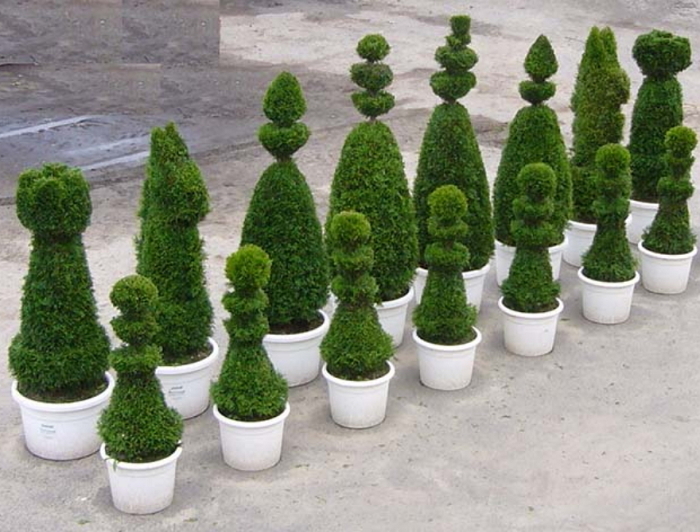 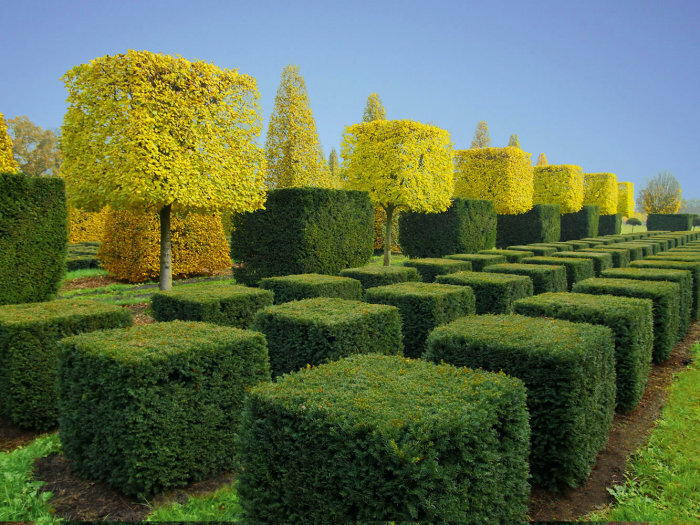 Usually, a topiary is trimmed tightly growing trees or shrubs. 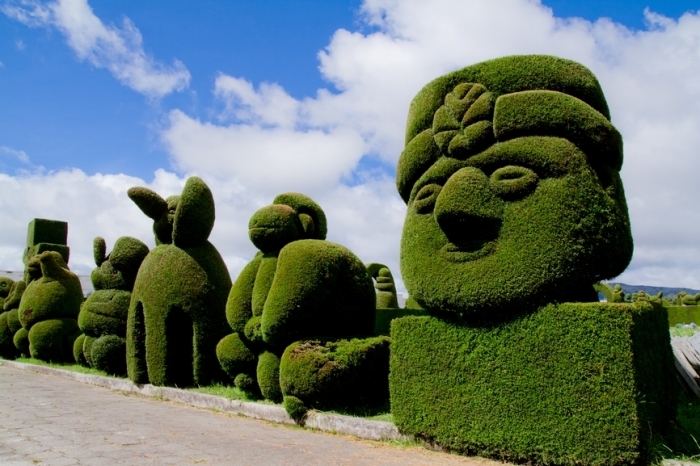 Sometimes to create large shapes use the wire. 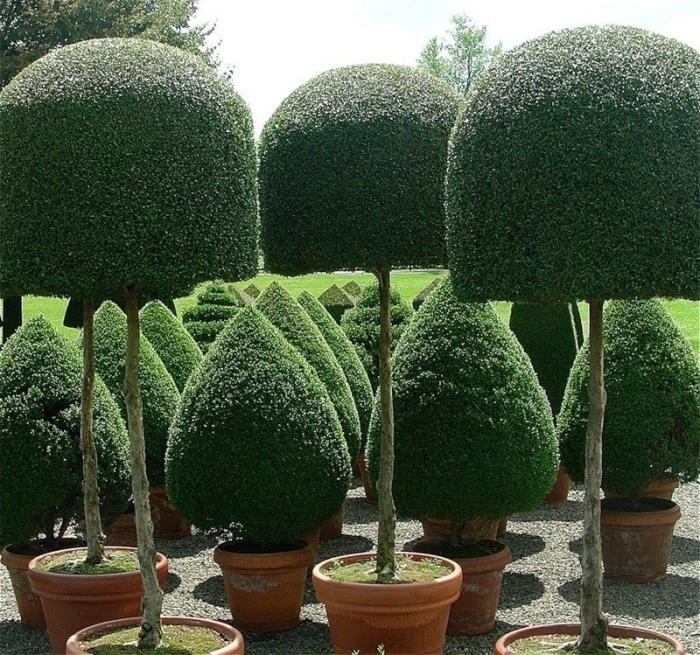 Such samples is called a frame and is distinguished from the traditional.